These hand tools are a great starter set and can be used for 90% of your home repair projects. 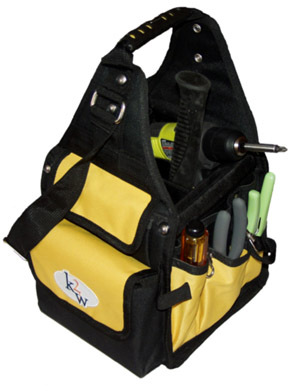 This toolkit includes one of each: K2W Electrician's Bag, 3” Putty Knife, 10” Adjustable Wrench, Flashlight, 16 oz. Claw Hammer, Wire stripper/cutter/crimper, 7” Robogrips, 7” Diagonal Cutting Pliers, Utility Knife w/break away blades, Tape Measure, 6-in-1 Screwdriver.